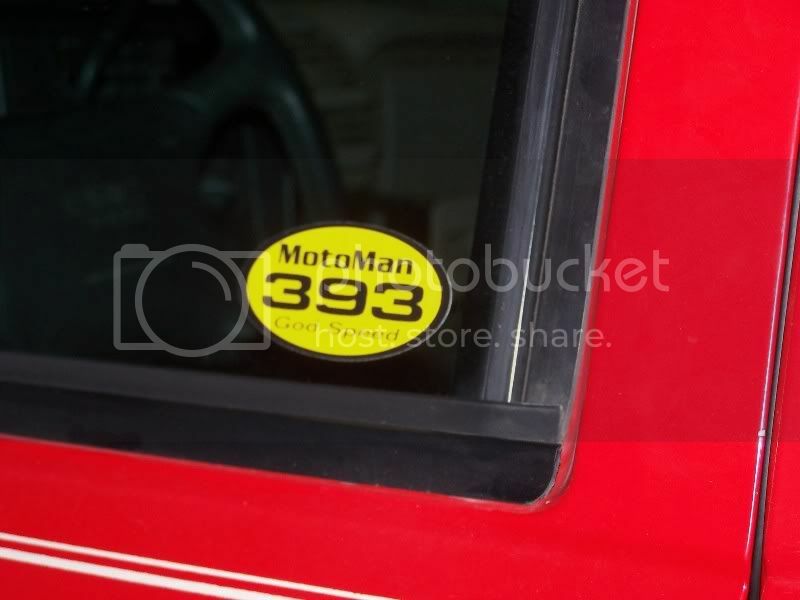 So how about it ATM...where does Motoman393 ride with you? well... i have 3 of 'em. one is on my "BERG"-star bumper for my quad (Blingstar) i took off the blingstar decal on top, and replaced with MM393 one, very trick the other 2 will go on the quad, maybe one on there and one on my truck... not to sure yet. need a clue i guess. Last edited by TRXman86; 04-24-2006 at 04:36 AM. I don't have any. But I would put it on my truck for all to see. Char: It sure looks good on your truck! There aren't any on my 450... yet. I do have 2 on one toolbox and one on the other though. 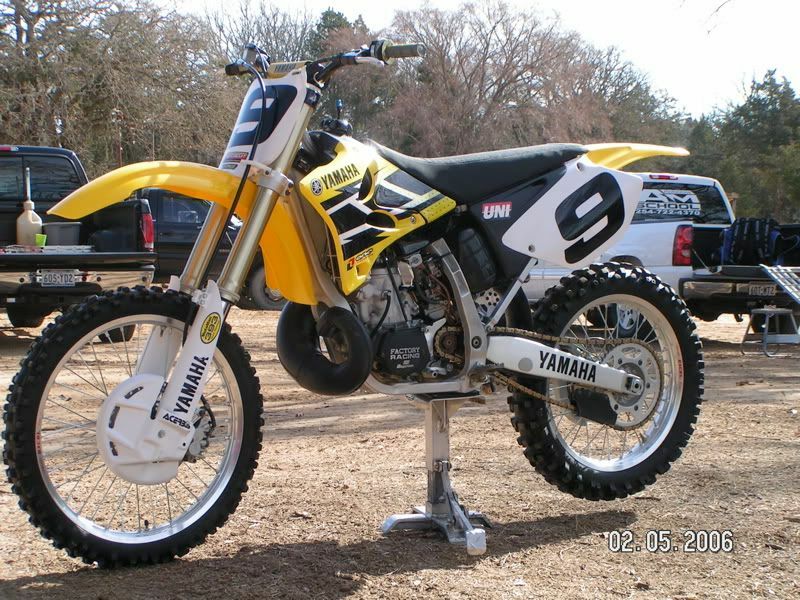 I still need some Black and Yellow ones for my 450. There are two on the 426 though. I'm going to try and get one (not sure if any left..). If there are, please let me know. BTW...where did you get that yami sticker char?? zuki...I picked it up at the Yamaha shop here in Anchorage. No pictures yet because I'm too lazy to go outside and snap them... hey, it's Monday! 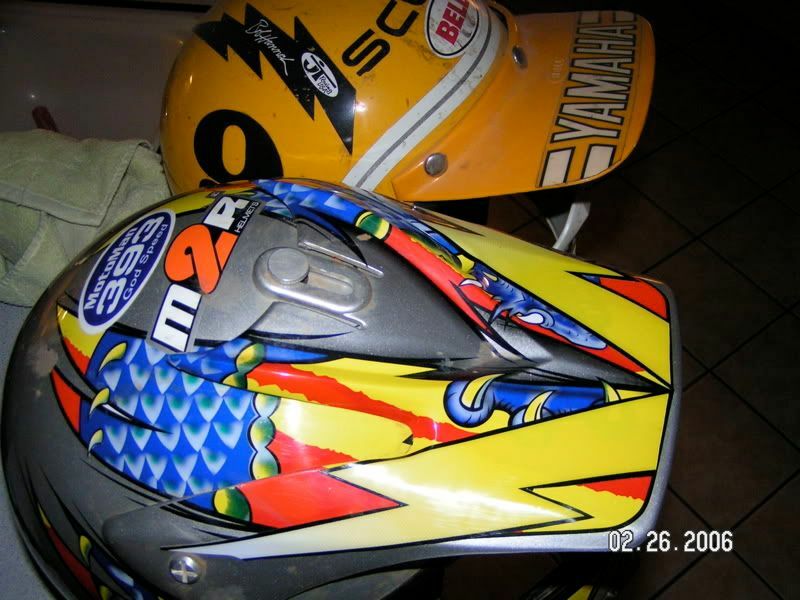 I have one on the front fender, one on the rear fender, one on the back of my helmet and one on my toolbox. Not to hijack the thread but does anyone have these for sale? 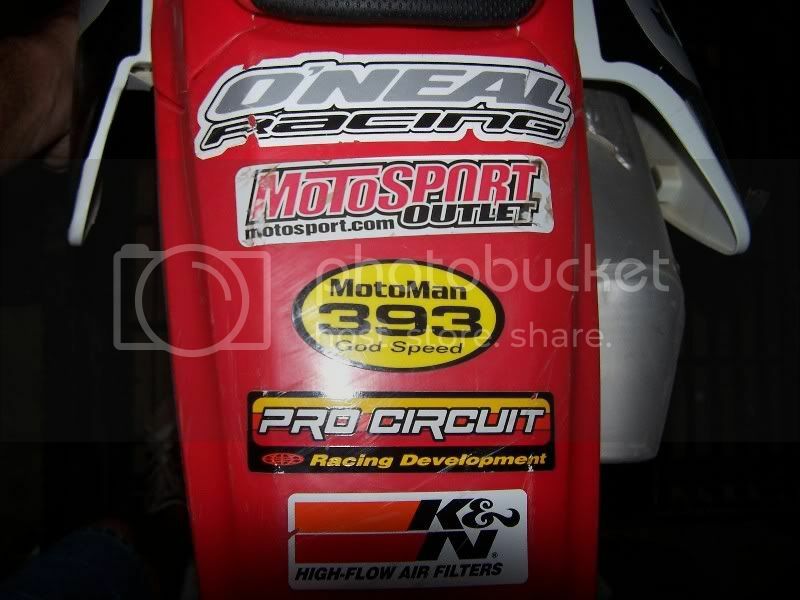 Ive contacted a graphics guy and am awaiting a price on them and a minimum quantity since i need them in clear and white, i have a black bike. Just curious if there is a place or person already selling them or not. The last stickers I had went on my bike I am afraid. Last edited by quadfather03; 04-24-2006 at 08:06 PM. LOL, bro, I wasn't referencing your post at all. Just replying to the post at hand. Been on my rear fender for awhile. Even been through a crash or two with me. More recently on my driver's side window of the Yukon. 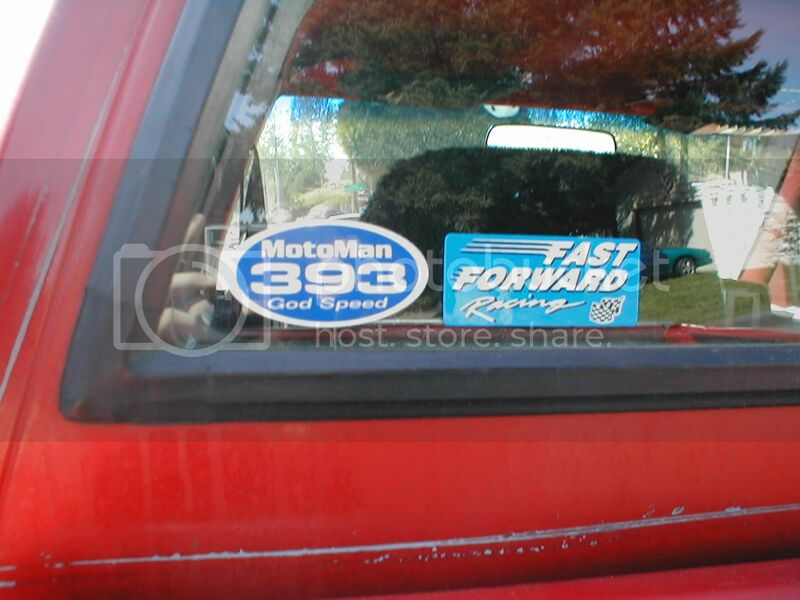 My thanks to Macho393 for the stickers. Id also be interested in flying the colors on my bike and truck. Clear wouldnt work for me though. 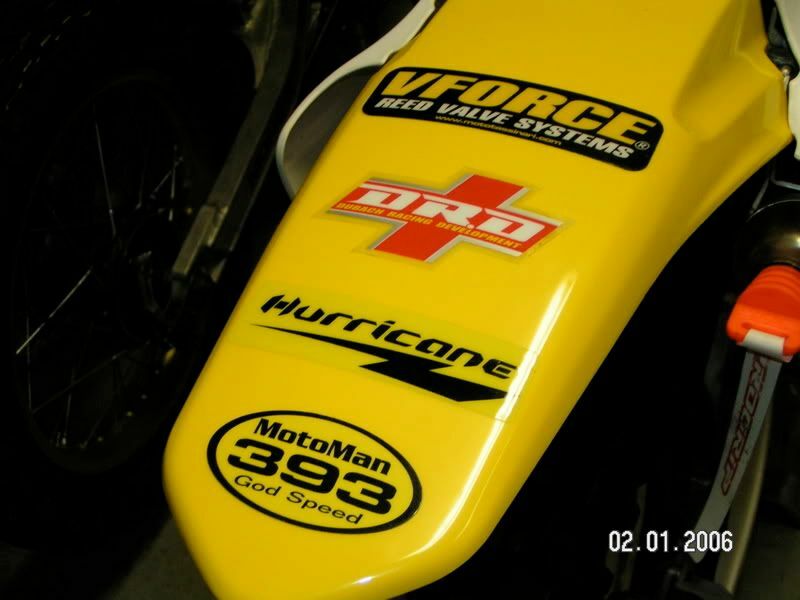 See if you can get some yellow ones made with your minimum order and we can split the cost....IF youre interested. Tooth Fairy ... I think I have a few yellow ones at home in my gearbag. When I get home, I'll have a look and let you know.